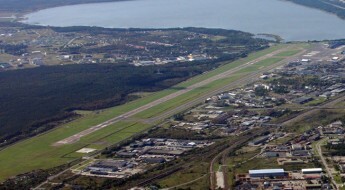 The Moss Airport in Rygge, Norway is a combined military and civil airport where civil aviation has been growing considerably during recent years and is expected to continue to do so. The combination of military and civil operation requires special considerations when designing an airfield lighting system as the operations are managed by two organizations with different needs. Tthe Moss Airport in Rygge chose ADB SAFEGATE as the supplier of a CAT II AFL system after careful evaluation of the cost efficient solutions and safety benefits ADB SAFEGATE could bring to the project, as well as the energy savings it offered the airport. 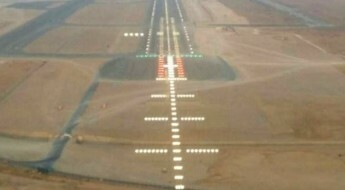 The system includes lights for approach, runway and taxiways and went into operation November 2010. The taxiway system is based on taxi centre line lights, mainly bi-directional lights with direction control, for guidance of aircraft during taxiing, on the apron and on the deicing area. On each taxiway entrance to and from the runway there are stop bars and lead-on/lead-off lights that are all individually controllable. Wig wag lights (RGL) with individual lamp fault detection are also connected to the stop bar circuits. This complexity of light functions would normally have required a large number of series circuits with a huge amount of cable and substation equipment. ADB SAFEGATE´s ASP-SafeControl single lamp monitoring and control system, in combination with SafeLED IQ 2A Solution, significantly reduced the amount of equipment required resulting in large cost savings for the project. Since the addressable light system requires fewer circuits there are a lot of savings done. Less primary cables and fewer constant current regulators (CCR) are required. The space requirements in the substations are then also reduced, as well as other substation equipment like switchgear and generator sets. 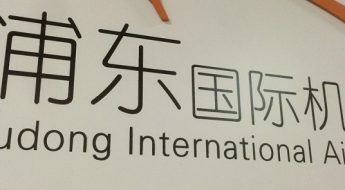 The airport also saw large cost savings on secondary cabling as each bi-directional SafeLED IQ light is supplied from only one series transformer and by one 2-wire cable, but still with individual control of each light direction. In addition to the expected power savings when using LED light sources, the ADB SAFEGATE system maximizes power savings by running with a fixed 2A current supply that reduces the power distribution losses that occur in the primary circuits, series transformers and secondary cables. There are 500 lights in the system, with 965 individual addresses forming more than 100 individually controllable light segments. Only 8 series circuits are used for all these functions. Together with the long life of the LED light source, SafeLED fixtures have proven to be very resistant to wear from the airport’s snow removal equipment in use each winter. Since the SafeLED IQ fixtures were first installed in 2010, very few lights have been replaced which has reduced maintenance costs and minimized downtime at the airport.